Android applications are now playable on your Windows PC. Bluestacks has released an alpha-test version of software which allows Android apps to be run on Windows machines. The start-up spoke with El Reg earlier this year about its eponymous product and how it works. Well, now you can try it for yourselves. The 117MB file creates a little widget on the desktop. When launched, it offers a list of available apps. As it stands there is no Android Market support, although Bluestacks has its own Apps Channel with a small selection of utilities and games. The company has also released an app called Cloud Connect. 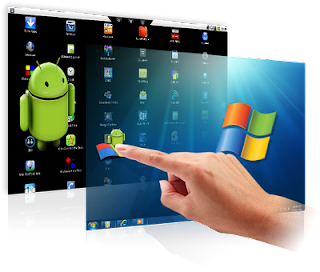 It can be downloaded from the Android Market and lets users send apps from their handsets to a PC, thus opening doors for any Android software to run on the Windows platform.